Both Tracker Cameras were made by the Perkin Elmer Corporation in Norwalk, CT. Perkin Elmer Tech Reps were assigned to the 4080th on a permanent basis. Since these cameras were one of a kind, the reps were our eyes and ears directly to the company. When I got to Del Rio late in 1958, Tom McClung was the rep and he was replaced by Ron Kupan, who moved with us to Tucson. When I left the Air Force and went to work with Perkin Elmer, Ron was still with the 4080th. I then was assigned to North Base at Edwards AFB as a Tech Rep where I worked with the trackers for 4 more years. The T-70 was a 70mm panoramic camera that took horizon-to-horizon photos. The film load was 1000 feet of thin based film with high resolution and a very low ASA. Two prisms were dovetailed together and ran continuously powered by a 24 volt motor. The image was scanned by the prisms through the lens, a slit aperture and filters onto the film. When the picture was taken, the film moved in alignment with the prisms to produce horizon-to-horizon photos. The tracker tripped every 32 seconds and provided 30% overlap. The pilots did not control the tracker. The tracker began operating at engine start and stopped at engine shutdown. It was very effective in tracking the flight for training missions and for quick reference when flown with the B camera. With a 10 power eye loupe, one could easily see the rafters of roofs being built and back in the 50's and 60's you could see the pennants that were used by gas stations.The T-70 prisms were protected by a glass dome that protruded through the Q-Bay hatch when mounted for flight. 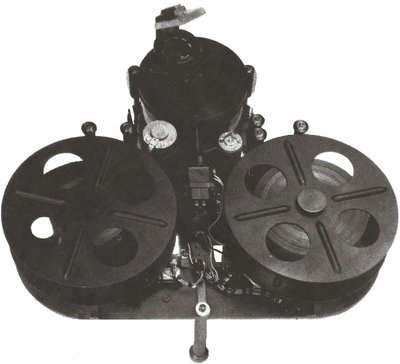 The T-35 was a 35mm panoramic camera that took horizon-to-horizon photos. The film load was 100* feet of thin based film with high resolution and an extremely low ASA. This unit used a rotating mirror that scanned the image through the lens, aperture and filter. The film also moved in alignment with to the motion of the mirror. The mirror was mounted onto a drum at a 45 degree angle. It also tripped every 32 seconds and provided about 30% overlap. It operated from engine start to engine shutdown. The same results applied when looking through the eye loupe. In the late 60's we got the T-35 prototype at North Base of Edwards AFB to test. We would drive down to Lockheed in Burbank, CA, and attach the T-35 to a wing of the U-2. The first time the camera froze so we got heat to it and flew quite a few successful missions. It then became part of the AF inventory and I went to Davis Monthan Air Force Base in Tucson to do some training, I think in early 1970. 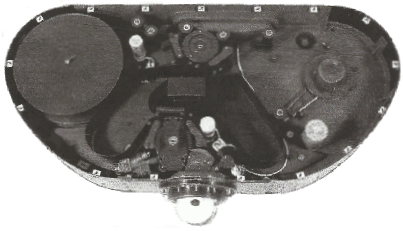 The T-35 mounted to the Q-Bay hatch in the same location as the T-70, except a permanent viewing window protruded from the hatch to provide clearance for the mirror/drum assembly to rotate.